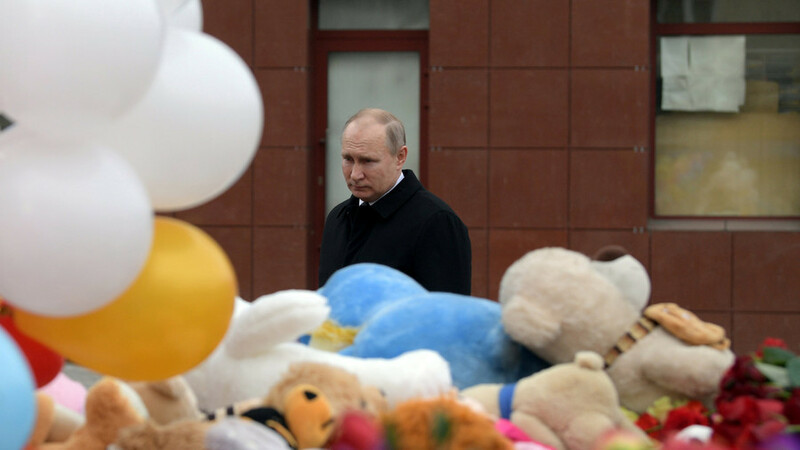 Russian President Vladimir Putin slammed the “criminal negligence” and corruption behind the tragedy in Kemerovo, Russia, where more than 60 people, including many children, perished in a massive blaze. 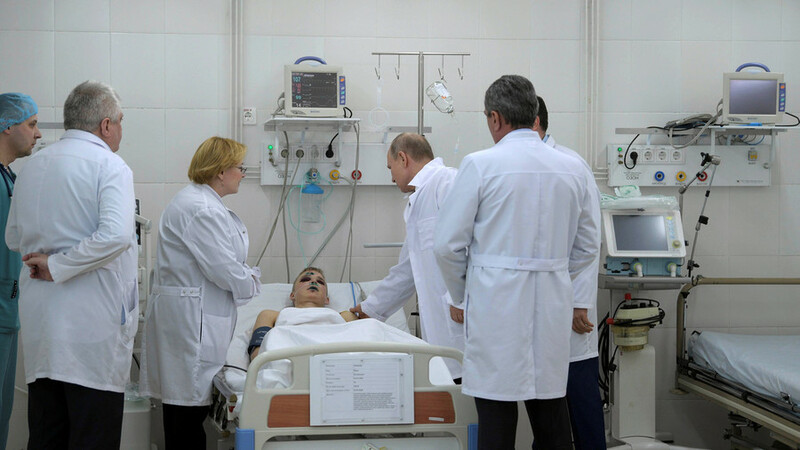 “The first feeling when they speak about the number of the dead and dead children – you want, not to cry, but wail,” the president said after a meeting with regional authorities on Tuesday. 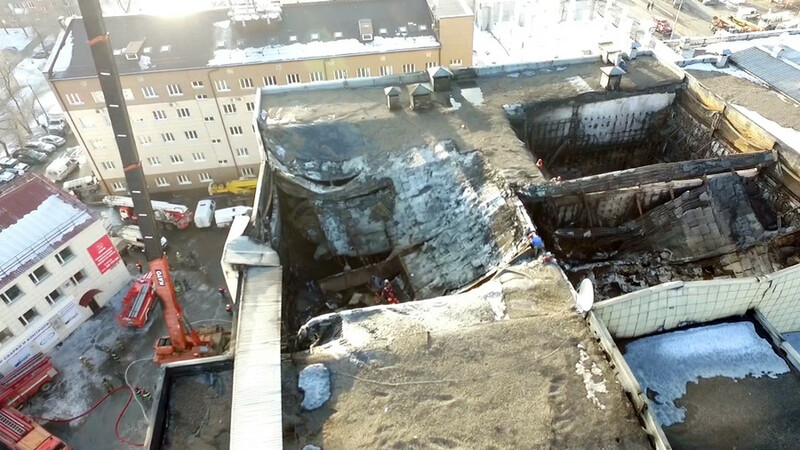 More than 50 people were injured or suffered from smoke inhalation in the blaze, the casualties made worse by violations in the mall building's construction and management. Investigators have found that emergency exits were blocked, impeding mall-goers' evacuations, and a guard is suspected of having turned off the building's alarms. 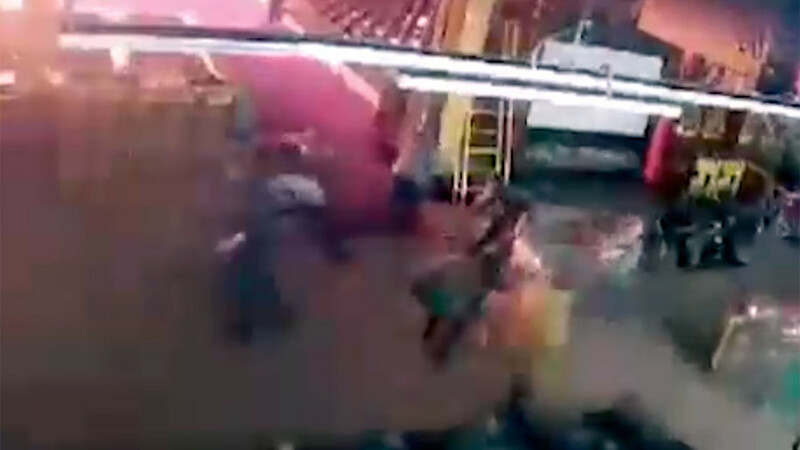 Five people, including a security guard, have been detained and charged in connection with the incident. Putin arrived in Kemerovo on Tuesday. 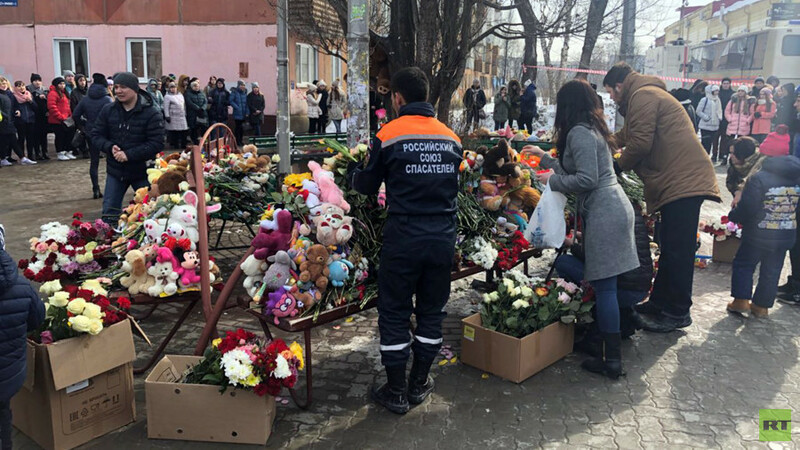 Visiting the site of the deadly blaze, he laid flowers at the makeshift memorial set up there by locals, where people have been laying mementos like toys and pictures of the deceased. The president is also expected to get reports from local emergency services and the regional government. "What is going on, this isn't warfare, or a sudden methane outburst in a mine. People, children, came there to relax. We talk about demographics, and we lose so many people to what? 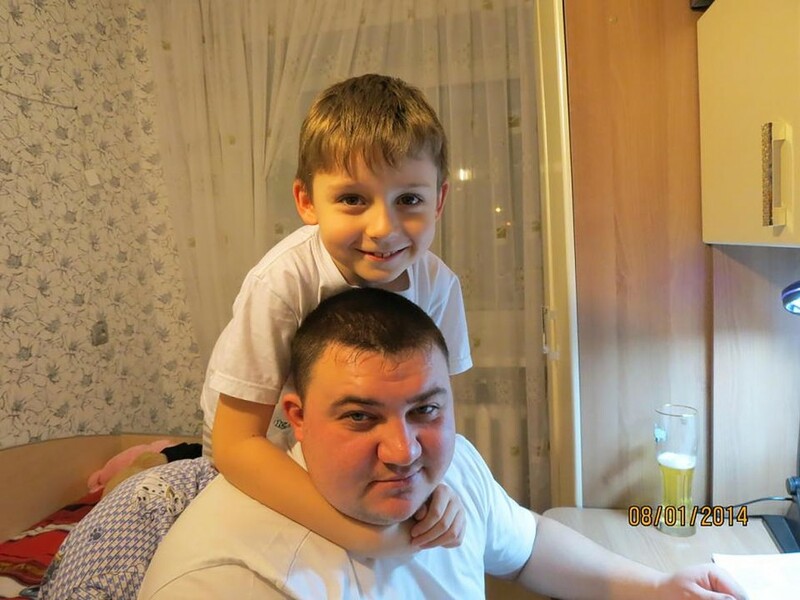 To criminal negligence, to sloppiness," Putin said. On Tuesday afternoon, Kemerovo authorities published the official list of the deceased and injured. Some 13 minors are declared dead, while 25 more are missing or have yet to be identified among the burned remains. A total of 63 people – missing or dead – are on the list. The ages of three victims have not been confirmed. The authorities also say that 69 people remain in hospital. However, there have been conflicting reports on the casualties. The investigative committee says that relatives of some 67 people reached out to the authorities, seeking help to find missing persons. The investigators also said that it is too early to publish a list of the deceased, as the remains of only 21 victims have been identified so far. 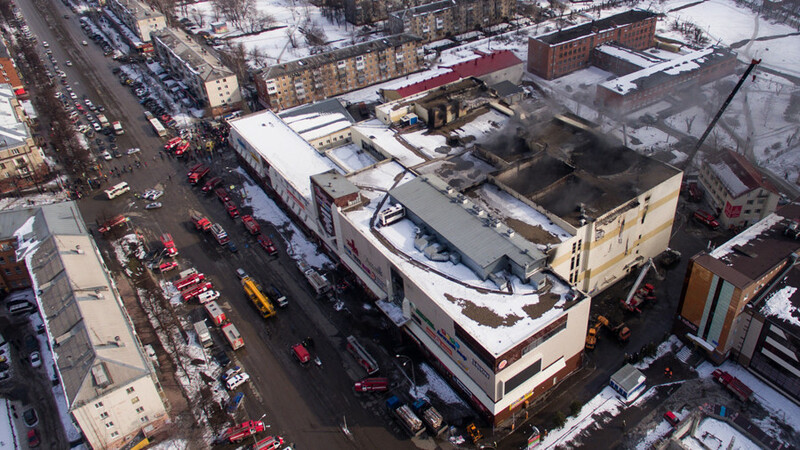 Earlier, it was reported that some 41 children were among the 64 victims of the blaze, according to Interfax, citing a list of the deceased. The same numbers were reported by Ria Novosti, which quoted sources in the emergency services. A day of mourning for the victims of one of the deadliest fires in recent history will be held across Russia on Wednesday, according to the Kremlin.